Who is an IP firm’s patent prosecution client when the firm represents a limited liability company and one of its members is the sole inventor? Does the answer change if the LLC is never actually formed, and no one ever advises the law firm? Those are just two questions that appear to be at the center of a malpractice lawsuit filed recently by a Massachusetts business against the IP law firm of Finnegan, Henderson, Farabow, Garrett & Dunner LLP. 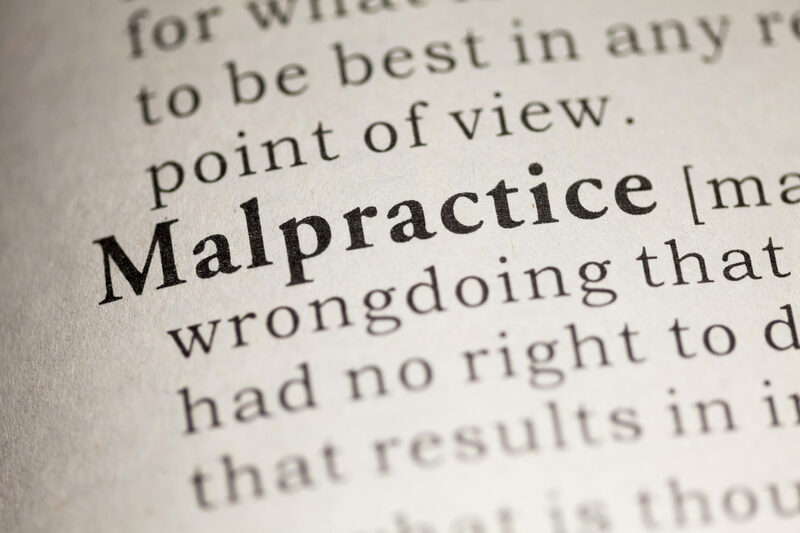 Click here for a copy of the Accutrax malpractice complaint. The Accutrax complaint claims that Finnegan represented Accutrax LLC and negligently failed to document or record properly an assignment of patent rights from the inventor to the company. The lawsuit also alleges that Finnegan engaged in a conflict of interest by representing the inventor, who purportedly was a member of Accutrax LLC, directly adverse to the interests of Accutrax LLC. Finnegan’s alleged failure to document an assignment from the inventor to the company, and its alleged conflicting representation of the inventor, allegedly caused Accutrax LLC to lose out on a manufacturing contract. Accutrax’s lawsuit seeks to recover lost profits and other damages from Finnegan. The action was filed in a Massachusetts state court, and Finnegan has yet to file its answer. Nevertheless, in a statement published in the Boston Business Journal, Finnegan denies that it ever represented Accutrax. The following is a brief summary of the facts alleged in the lawsuit. Keep in mind that these are only allegations, and Finnegan has yet to file its response. This much is undisputed: in June 2012, Michael Kildavaeld conceived of a razor utility knife with a graphite pencil blade. The “marking blade” invention marks surfaces with far greater precision than a standard carpenter’s pencil. It is also not disputed that between June and October 2012, Kildavaeld filed in the USPTO four pro se provisional patent applications relating to his marking blade invention. In October 2012, Kildavaeld met Robert Cumings, who allegedly had extensive experience in the marketing and manufacturing of tools. That same month, Cumings introduced Kildavaeld to Harry Billado, who allegedly had experience in patent prosecution, licensing of patents, and bringing inventions to market. In January 2013, Kildavaeld, Cumings and Billado attended the International Builder Show (IBS) in Las Vegas, at which they jointly presented to the public Kildavaeld’s marking blade. The product was very well received. Companies including Stanley Black and Decker and Home Depot expressed interest in making or selling the product. The complaint alleges that on January 27, 2013, the three individuals agreed via an email to the terms of an “operating agreement” for a to-be-formed Delaware limited liability company. Kildavaeld allegedly agreed to assign any patent rights into the future LLC in exchange for financial contributions by Billado and Cumings to prosecute the patent application, commercialize the patent, and market, manufacture, and sell the marking blade. Although it was addressed “c/o Michael Kildavaeld,” the engagement agreement was signed by Billado, who stated that he was with “SealPro Products, LLC.” According to the complaint, when he submitted the engagement agreement to Finnegan, Billado allegedly advised the law firm that he had signed the agreement and provided a retainer check from his SealPro Products, LLC account because “Contractor Trusted, LLC” had not yet been formed. On March 15, 2013, Finnegan filed a non-provisional application on the “marking blade” invention. The complaint alleges that, “In no way did using a different corporate name change the client relationship: Finnegan’s client at all times was the LLC.” Here, it is notable that the complaint fails to indicate which “LLC” was “the LLC.” Was it Contractor Trusted LLC? Or was it Accutrax LLC? Or was it someone else, such as “SealPro LLC,” which apparently signed the engagement agreement? Although not alleged in the complaint, it is interesting to note that the assignment records of the USPTO reflect that on October 3, 2013, an attorney from a Massachusetts law firm—not Finnegan Henderson—recorded a purported assignment of all rights in the marking blade invention to “Accutrax LLC.” What was recorded in the USPTO was a heavily redacted version of the January 27, 2013 “operating agreement”/email document. See a copy of the “assignment” here. Notably as well, the “assignment” document was not signed by Kildavaeld, the inventor, as one might expect. Rather, what was recorded was an email from Billado. That email mentions in one paragraph an agreement to assign patent rights as part of “our very basic verbal understanding between us.” The rest of the “operating agreement” — another 2 pages of text–is redacted from the USPTO’s assignment records. Interestingly, Accutrax’s malpractice complaint fails to mention this assignment document. No allegations are directly advanced regarding whether Finnegan Henderson was ever made aware of the October 2013 recordation of the January 2013 “assignment” document, which was evidently filed by the law firm of Grossman, Tucker, Perreault & Pfleger as counsel for Accutrax LLC . One must wonder, therefore, how the alleged failure by Finnegan Henderson to advise “Accutrax” about any need to assign the invention to Accutrax could have proximately caused any harm to Accutrax since Accutrax itself had already represented to the USPTO that it owned the patent and it further represented to the USPTO that its January 2013 email was in fact an assignment agreement. The Accutrax complaint further alleges that Finnegan violated its ethical duty of loyalty by encouraging Kildavaeld not to assign “the Marking Blade patent rights to the LLC and it encouraged him instead to seek to negotiate a new deal with the LLC.” Kildavaeld allegedly told Billado that an attorney from Finnegan’s D.C. office represented him “individually” in his negotiations with the LLC “concerning a new deal.” Billado objected to this arrangement as a conflict. As an aside, the USPTO Rules of Professional Conduct, 37 C.F.R. Section 11.107, prohibit a law firm from concurrently representing one client adverse to another client, at least without both clients’ informed written consent. The complaint alleges that in an October 3, 2013 telephone call, Finnegan attorneys stated that the firm represented Kildavaeld personally, and that the firm did not represent Accutrax LLC or any other company. Notwithstanding these disputes between the alleged owners of Accutrax, the “Marking Blade” product itself allegedly was enjoying commercial success. The complaint alleges that in February 2014, the three members of Accutrax LLC signed a manufacturing agreement with Snyder Manufacturing, Inc. In addition, the complaint alleges that Accutrax LLC began marketing its product to Stanley Black and Decker. According to the complaint, in October 2014, while Stanley was negotiating with “the LLC” for a master purchase agreement, Kildavaeld individually contacted Stanley and tried to negotiate his own exclusive relationship with Stanley that eliminated Accutrax LLC from the picture. According to the complaint, Stanley decided to back out of the deal rather than get caught in between the two sides who were in the midst of a patent ownership dispute. Accutrax alleges that but for Finnegan’s failure to document and record properly an assignment of the marking blade patent rights to Accutrax, as well as Finnegan’s conflict of interest in favoring the inventor over “the LLC,” the deal with Stanley would not have fallen through. The complaint alleges claims against Finnegan for legal malpractice (count 1), breach of fiduciary duty (count 2), breach of contract (count 3), and aiding and abetting the commission of torts and breach of fiduciary duty (count 4). Accutrax seeks an unspecified amount of monetary damages. Finnegan’s response to the complaint is due by July 14, 2017. Hard to know where to start with this one. Finnegan should have checked with MA State Department (or equivalent) to confirm that an LLC they planned to represent actually existed before the engagement letter was issued. 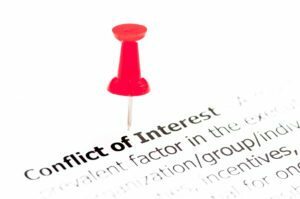 A later conflicts check for AccuTrax LLC wouldn’t pull up Contractor Trusted LLC, but a related parties search would have pulled up the inventor. It isn’t clear that Finnegan was tasked with securing the assignment or had any obligation with respect to the formation of or structural business contracts for the LLC (whichever one). The bigger story, though, is probably the greed displayed by the members of the LLC(s) once they realized they had a winning invention on their hands. The dispute should have been resolved before trying to negotiate with Stanley. I mean, what did they think Stanley was going to do? Get involved in that rat’s nest? These members are looking for a scapegoat in Finnegan. Just my 2₵. Kathryn, Thanks for your comments. It is pretty clear from Finnegan’s engagement agreement that it was not tasked with securing the assignment or with respect to the formation of or structure of any putative entity owner. The Firm entered into a Limited Scope Engagement Agreement that was fairly circumspect in scope–limiting it to preparation and prosecution of a patent application and nothing more (including no post-issuance obligations, such as maintenance fee reminders). The public record does not indicate whether that Engagement Agreement was ever modified. The Agreement does have some language in it requiring the client to provide the Firm with updates of any material information, and the only documents in the public record indicate the Firm never billed any entity called “Accutrax LLC.” Again, we only know what is in a very limited public record. There was a prior lawsuit between the principals of “the LLC” – with the inventor saying he never agreed to anything and was not even aware of the formation of the LLC, and the other two “partners” alleging otherwise. That case was ultimately settled. While the terms of the settlement are not public to my knowledge, there has been no change in ownership of the patent recorded in the USPTO. Thus, it appears that the inventor still is the owner (unless of course he assigned it and the assignment was not recorded). Presumably if the patent had been assigned to Accutrax as a result of the prior settlement, that fact would have been alleged in the malpractice case. Unfortunately for law firms, when someone doesn’t get what they want from their business, we are a convenient target for all things that went wrong. The bigger the firm, the larger the target. Hello Kathryn. I can understand your frustration. I am a Plaintiff in this case and Mr. McCabe contacted us about providing him with a copy of the complaint. Since there is now a link to the complaint that Mr. McCabe himself generated, can I trouble you to take a closer look at that? In consideration of your time and to address your specific comment about the case, I would like to point out paragraph #27 in the complaint, which also includes Tab D. In a nutshell, the complaint shows that on the very day the Engagement Agreement was signed and returned, the attorney was told in an email that Contractor Trusted, LLC “still needed to be created between Michael, Bob and myself.” The simple fact is that the attorney was told this information right up front and from the beginning of the representation. The attorney even responded to that email, as the complaint also demonstrates. Please note at the request of counsel for Plaintiff, I was asked to remove the link to the copy of the complaint that Plaintiff’s counsel previously had provided to me, and which included the exhibits referenced in the complaint. I complied with that request. What is linked now to the post is a copy of the complaint from another source, although that copy does not include the exhibits to the complaint. Mike. The value of the patent is highly suspect as it (or any foreign equivalent) is most likely invalid due to the prior disclosure at the Trade Show. Maybe that was the reason Stanley backed out. Hi Ephry, Maybe yes with regard to foreign rights in countries where a prior sale by the patentee would affect patentability. With respect to the U.S. patent, however, the trade show where the invention was allegedly first publicly displayed and sold was after the filing date of four provisional applications and was only two (2) months before the filing of the non-provisional application. The NPA was filed about 9 months after the filing of the earliest provisional application. While one never knows why Stanley backed out–and whether any limitation on foreign rights may have played into the decision–it does seem plausible that Stanley simply did not want to get caught in the middle of an ownership dispute. Not clear that there still exists an ownership dispute since the principals all were litigating with each other over title to the patent, and that action settled. There was no public assignment recorded, so evidently the inventor retained ownership. Curiouser and curiouser. There is a continuation application 9421814 which has no assignment recorded. This is despite the fact that assignment of the parent [US 8915662] was duly recorded at reel 031339 Frame 0966. Dear Sinai, Thanks for your comment. It is also interesting to note that this patent application was filed pre-AIA (the day before AIA came into effect), as were many other applications that law firms were scrambling to file under pre-AIA laws. One effect is that in the pre-AIA world, the inventor was always the default applicant and had the superior claim and control over the application/patent. I’ve got to think that in a pre-AIA world, an “assignment” to a non-existent LLC (which never came to be) would be ineffective without some specific language otherwise. This, not to mention that an “agreement” by email, most likely carries some defect in contract law (e.g., voidable, invalid, etc.). That’s just one side of the coin. The other side is whether Finnegan ever represented some party other than the Inventor. Finnegan signed an agreement with Contractor Trusted LLC, so clearly Finnegan represented Contractor Trusted LLC. The record as reported above, however, does not indicate that Finnegan ever knew of Accutrax LLC or ever knew individually of any other persons than Billado and Kildavaeld. -The complaint provides that the Engagement agreement includes that Finnegan does not respresent anything/anyone other than Contractor Trusted LLC. It seems a bit ironic that the same complaint that alleges that Finnegan cannot represent Kildavaeld claims that Finnegan was representing Accutrax, the new LLC. 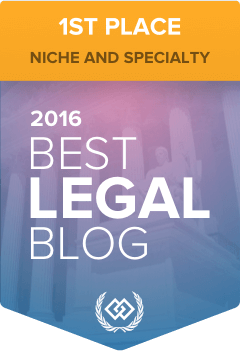 -One of the tenets of legal ethics is that you work for your client, not the person who pays your client’s bills. So Billado’s paying on a SealPro account has no bearing on the ethics complaint. -The engagement agreement listing “Contractor Trusted LLC c/o Michael Kildavaeld” establishes some relationship between these parties as clients. And considering the pre-AIA nature, prosecuting a patent application without any effective assignment necessarily implicates that one client is the Inventor. -If Finnegan had not known of Accutrax, then it would not have been conflicted. Since the Engagement occurred in March 2013 and a non-provisional was filed March 13, 2013, time was of the essence and Finnegan likely undertook the limited representation in good faith that Contractor Trusted would keep them in the loop, but if not, then Finnegan’s conflict risk was minimal due to the limited scope. -When Finnegan learned of the conflict, it appears they disengaged Kildavaeld and referred him to another firm. The complaint alleges this as nefarious, but certainly Kildavaeld is entitled his choice of legal representation. Moreover, Kildavaeld is likely entitled to the work product (his files) which was produced up to the time of disengagement or at least until the conflict is known.